HouseCentipedeControl.com is owned by Jill Haskins. 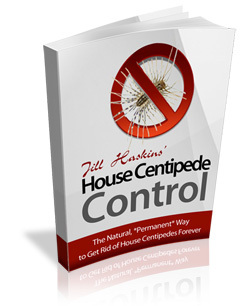 Jill is the author of House Centipede Control: The Ultimate Guide to Get Rid of Centipedes. This guide will show you exactly how to get rid of centipedes and keep them out of your home forever. The solution contained within these pages does not require the use of chemicals or pesticides of any kind. To purchase this informative eBook, please see the main page on House Centipede Control.